Showers? Check. Storage? Check. Bike parking? Check. We’re sold. Biking to work is a great idea, but for some would-be commuters the lack of cycling-friendly facilities makes it more challenging than it needs to be. Think about the logistics of it: You have to pack work clothes, prepare for all kinds of weather, and for most, it means trying to shower with a washcloth in the bathroom once you arrive. Not all employers have space for full locker rooms, but a new modular locker room and bike-storage product could be the ideal solution to this sweaty problem. The prefab facilities designed by British company Active-Commuting look a lot like shipping containers, and are easily installed in company parking lots. Each unit can be customized to include lockers, toilets, sinks, showers, bike parking, and a stretching area, and can be stacked two stories high or placed alongside another to create space-saving layouts. The smallest option, which is 2,400 meters can handle 34 bikes and 80 lockers and takes up only two parking spots. Prices start at $33,348 plus taxes, but bespoke sizes are available as well. 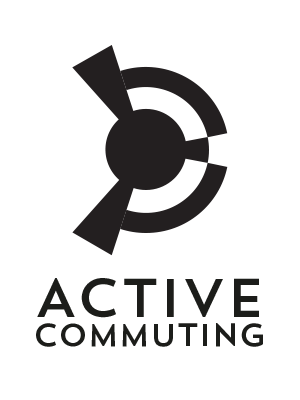 The first facility is already available to more than 3,000 employees of a British hospital; Active-Commuting will be studying the unit to see how facilities affect the number of commuters, with the hypothesis that commuters will increase due to the addition of showers and other bike-friendly amentities. So if your employer is lacking a shower or bike room, you might want to print this out and casually slip it under your boss’s door to get the message across.